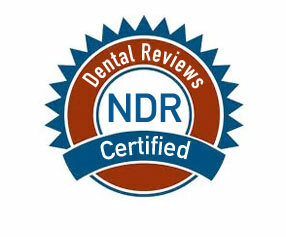 We do what we can to provide the highest quality of service in dental care. Our office is dedicated to restorative, reconstructive, esthetic, and family dental treatments. Our patients leave our office doors smiling because our main goal is their full satisfaction. The initial appointment consists of a personal interview, an examination, a diagnosis and treatment options. A complete medical and dental history is essential for us to know to provide you with the best possible dental treatment. Current x-rays and other information are necessary for precise diagnosis. With all diagnostic information in hand, options for treatment plans can be made. The treatment fees are due at the time the service is rendered. If you have insurance, our office will file the necessary insurance documents pertaining to the treatment done. Kindly assist us by filling out the insurance information form attached and advise us of changes in your insurance coverage. Your dental insurance card is needed at the time of your appointment, so we can make a copy for your file.Our office also provides financing via Springstone and Care Credit Special Financing Option. We offer a six-month to twelve-month, zero interest financing. For other financing options, our office staff will be happy to discuss them with you on the day of your appointment. Kindly notify our office 24 hours prior to your appointment, should something arise that will prevent you from keeping your appointment. In this way, we will gladly assist you in rescheduling your appointment at a more convenient time. Thank you for entrusting your smile with us.